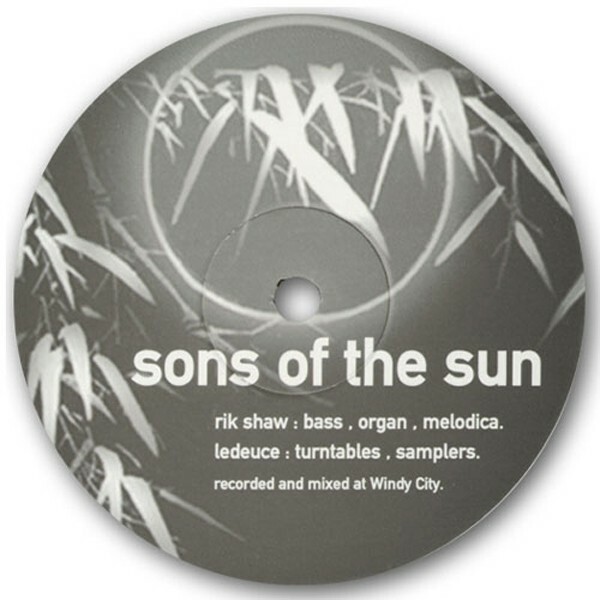 Former members of the Chicago-based Rome, one of late-nineties US post-rock's most influential units, Rik Shaw and Adam LeDeuce splintered off in late '97, to form Sons of the Sun. Maintaining their interest in a distinctive mix of electronics, guitars and dub methodology, 'Heavenlamp' was their debut release and saw them experimenting with ambient soundscaping and moving into the realms of fractured, micro-programmed electronica. As in Rome, Rik Shaw was a founder of the Deadly Dragon Sound System, a crew of DJ's that spin dance hall, dub and jungle, and his previous bands included the Moonmen, The Deuces and Rome. Playing turntables and samplers, LeDeuce developed a form of DJing called ""16 style"" which consists of layering records played at 16 rpm, to create rich, textural soundscapes. LeDeuce has done sound work for numerous films and art installations, and has recorded with Bobby Conn and Disarray.